“La Mayor de las Antillas” better known as Cuba, has been the center of many controversial opinions through the years. Its unique system, which generally fails to provide clear and direct information to interested parties, offers, nonetheless, interesting opportunities to those who know where to look. One essential starting point to better understand this complex reality is the issue of reforms. Unlike other socialist states, reforms have been amongst the major Leitmotivs of the long revolutionary experience. Some of the most recognized analysts of the country’s economic and political history have identified a constant alternation of “idealistic” and “pragmatic” phases. The former stage characterized by a strong anti-market cognition reached its peak in the Island during the late 60s. In these years, also known as the ”Guevarist years” an intent to create and consolidate a radical socialist model was made by, however, maintaining a detachment from the Soviet agenda. Needless to say the sustainability of such system was short lived. 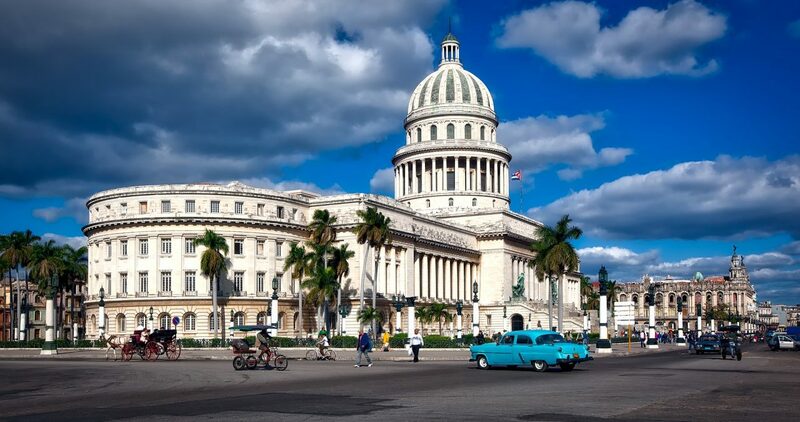 Following the fall of the Soviet Union and the eventual decline of most socialist governments, Cuba decided for a structural shift with the intent to launch market-oriented mechanisms. Since then, a significant number of investment-friendly measures have been adopted, ranging from internal norms – such as the legalizations of US dollars possession and the development of the touristic sector – all the way to international relations matters – such as the historical diplomatic normalization with both the Catholic Church and the United States, which since now has not been considerably altered by the Obama-Trump transition. Raul Castro’s definitive elevation to presidency in 2008 led to a series of major economic reforms and a significant social reorientation of the Island. In 2010 a thorough debate was launched throughout the country on the “dos and don’ts” to ensure future developments. These discussions incited the creation of what are now known as the “Lineamientos de Política Económica y Social1)Economic and Social policy guidelines”: about three hundred articles guideline which attempts to identify and methodize a set of requirements necessary for change and to be implemented with a certain urgency. The Policies were then submitted to the VI CCP Congress in April 2011 which through different amendments altered the 68% of the original 291 guidelines increasing them to 313: 92% of which were purely economic policies and the remaining 8% of social character. Most of the alterations were mainly editorial thus maintaining intact the center points of the Policy. The reforms can be split into three main categories: 1) administrative and management; 2) nonstructural and 3) structural/systemic. The update of the economic model was an obvious attempt to create a system in which traditional centralized planning and market economy elements coexist. Workforce: More than 300 private activities have been legalized thus allowing several employees outside of public sector to have a legitimate and (often) more remunerative source of income. Nowadays, if one was to add up the half million cuentapropistas that exert within small private activities (examples), with the six hundred thousand farmers, owners or users of their land, operating individually or in cooperatives; we would already count more than a million workers active in the legitimate private sector. In addition it is essential to consider “los que resuelven” or in other words: those who, in a way or another, are able to make a living, within the ambiguous, informal and very widespread area of semi-legality. Whether full time or part time one of the best examples of such activities are the so called GESPI2)Government employees with significant private income. These are public officials who manage to make an income, greater than the state salary, from a separate and private activity. Therefore, according these statistics, it is possible to approximate that about two million Cubans (corresponding to a 40% of the total workforce) operate within this, widely defined, private sector. Housing market: After several decades the housing market has finally been reactivated for both Cuban citizens and foreign residents; obviously, this comes with specific conditions. House owners are now limited to a maximum of two properties, one in urban areas and one in the countryside. This legislation was followed by the (much needed) removal of the tortuous and in many ways incomprehensible system of “permutas”: one of the main sources of corruption in the country. The new market has been, since, generating a significant influx of capital from abroad (mainly the USA) and thanks to the unbroken family ties with the Diaspora. In this regard it is worth commenting on one of the major paradoxes of the Cuban situation i.e. : despite the unfriendly statements (euphemistically speaking) of both Cuban and American politicians, the flow of income towards the families who remained in the Island has represented over time the main source of currency for the Country (currently representing over two billion dollars a year). Ironically, if it wasn’t for this the difficult economic situation could have struck Cuba much more harshly. Cooperatives: A particular emphasis on Cooperatives should be made when it comes to Cuban investments. Cooperatives in fact, are meant to be one of the keystones of the new economic-productive system. For the first time along with agricultural also nonagricultural cooperatives are permitted, mainly for services. Although the approval process remains slow and bureaucratic, and the final say is in the hands of the Council of Ministers, Cuba appears to be extremely interested in the assistance and advice of the foreign cooperative systems. We now come to the to the most relevant subject of this report i.e. foreign investment and its current legal and de facto situation. In the early 1990s, at the lowest point of the economic crisis which followed the fall of the Socialist Camp, the Cuban government adopted the first on the prospect of finding support both in Europe and Canada to promote economic recovery. Subsequently, in the period that saw the growth of the so known “big economies of the Second World”, Cuba adopted a southward policy which included the strengthening of relations3)Assistance, collaboration and investment with different Latin American states and China.These socio-political and (by consequence) economic approaches were characterized by different levels of dependence with the States they were dealing with. One of the most distinguished being the relation between La Isla and chavist Venezuela. Despite the two states maintaining a sentiment of fraternity, the crisis in Venezuela is still undergoing and has caused a focus deflection of the Cuban executive. Indeed the magnifying crisis has led to a need to create a favorable climate for foreign investments, regardless of their origin.These circumstances gave rise to various actions favoring the (partial but significant) opening of the Republic to the world, namely: 1) Diplomatic normalization with the United States, 2) Law n° 118, and 3) the creation of the economic development zone (ZED) around the port of Mariel. Change of the energy matrix of the country orienting it towards renewable sources. This list highlights the island’s main goal i.e. to rebalance the scale trade and payments, whose current situation urges an increase in exports and, above all curb imports. Law 118, as its predecessor, Law 77, underlines the several opportunities for foreign direct investments. In fact, all sectors of the island’s economy are open to FDI including military’s business enterprises but excluding health, education services and armed forces. FDI firms will benefit from an eight-year exemption tax from profit which will be then followed by a 15 percent tax on all net taxable income. Here I would like to draw the attention to one of the most concrete points highlighting a shift in the overall attitude regarding foreign investments. Although this argument will be addressed later in this report it is important to highlight how the new law cuts by a non-insignificant 50 percent taxes on the income. Furthermore, reinvested income can be completely exempt if so allowed by the relevant authorities. In connection to wage taxes the old 14 percent of social security contribution remains, however the 11 percent wage tax has been removed. These are joint stock companies whose share-holders are a mix of foreign and national investors. Unsurprisingly the drafting of a public deed is required, to which Articles of Incorporation, Authorization and Association Agreement are attached. Joint Ventures acquire legal personality exclusively upon being registered in the Business Register. Joint ventures can create offices, representations, branch offices and subsidiaries both in the Country and abroad. Investors will enjoy full protection against expropriation “except for reasons of public utility or social interests”. In such cases, nonetheless, shareowners will be indemnified and will enjoy the right to appeal to a bilaterally agreed international investment dispute entity. These constitute agreements between one or more national investor along with one or more foreign investor. The main purpose of such contracts is to allow the performance of acts associated with international economic association without, however, having to establish a separate legal person. Following article 13.2 of Law 118, these agreements include by general rule AIE as well as risk contracts for the exploration of non-renewable natural resources, construction, agricultural production; hotel, production and services management, and contracts for the provision of professional services. These are entities built upon completely foreign capital. In this case, foreign investors are the sole managers of the institution and will enjoy full rights (and liabilities) linked to the obligations set forth in the Authorization Act. Additionally, following the registration of the entity within the Register of Commerce, investors may establish themselves within Cuban territory as: a) natural persons, acting on their own behalf; (b) legal persons, by setting up a Cuban subsidiary office of the foreign entity they own, by public deed, in the form of a corporation with registered shares; or (c) by establishing a branch of a foreign entity. It is essential to point out that foreign capital companies which have been incorporated as subsidiaries may create different types of structures connected to the central entity. These include offices, representations, branches and subsidiaries either within national territory or abroad. In all three cases FDI firms are free to import and export directly i.e. without having to pass through a state owned wholesale company. Additionally all profits and dividends can be freely transferred abroad in convertible pesos. None of these opportunities can really be exploited without a given approval process. Given the nature and history of the island we can only expect that this process is not really a “piece of cake”. As its predecessor, law 118 demands for a formal approval by the Cuban government on each potential investment. Joint Ventures must be authorized by the highest ranked positionholders i.e. either by the Council of Ministers or the Council of State. To do so, the foreign investor must formulate its application along with its partner state owned enterprise and the relevant ministry. The request must then be presented to the MINCEX and the Business Evaluation Commission. Once this first step is completed MINCEX must consult with all relevant agencies and institutions to the transaction4)E.g. Central Bank, Minister of Labor and Environment, Ministry of Finance and Prices etc.. If MINCEX is then approving, this will draw a recommendation to the CECM5)Executive Committee of the Council of Ministers, an institution which was formerly chaired by el Comandante en Jefe. According to legal experts familiar with these procedures, the last step simply consists in CECM accepting the recommendations brought forward by MINCEX. The process is then officialized by the registration of the Joint Venture by the Chamber of Commerce. Article 47, nonetheless, introduces an element of discretion, which should be kept in mind. Despite the overt discretionary language utilized in this article, Law 118 has set time limits (as appropriate) for obtaining a definitive response from the competent authorities. This and the system of “ventanilla unica”6)A single office which is in charge of all bureaucratic procedures for the ZED Mariel already constitutes a remarkable progress when compared to previous legislations. Step by step we should hope for a decentralization of the whole process in order to promote desirable levels of FDI in the country. We have already established that the general goal is to create an investment friendly environment, and what better way than through the alteration of tax policies. The current law regulating taxes is the Ley Tributaria n. 1137)23 July 2012. This piece of regulation lists all the taxes and contributions foreign investors would be subject to once having established a business in national territory. However, the special adjustments established by Law 118 prevail over the common regime. Such favorable conditions are magnified when considering terms of investment within the Economic Development Zone of Mariel. For the sake of clarity, the table below will draw a direct comparison between two types of foreign investments under Law 118 namely: 1) regular investments throughout Cuban territory and 2) those within the Economic Development Zone of Mariel. Tax on utilities 0% for 8 years and exceptionally (i.e. when investments are considered of particular interest for the country) for a longer period. Subsequently the tax is 15%. It can be increased by 50% (50% by 15%) in case of exploitation of natural resources. It is 0% on reinvested earnings. 0% for 10 years and exceptionally for a longer period. Subsequently it is 12%. Also in this case there is exemption for reinvested profits. Tax on sales and services 0% during the first year of operation followed by a deduction of 50% on sales applied to wholesale and services. 0% during the first year of operation. Subsequently it is 1%. They are exempted from this tax contracts for international economic association for management hotel, production or service and the provision of services professional. Custom duties Exemption during the investment phase Exemption for machinery, equipment and instruments intended to be used within the Zone. In 2014 an appeal to international companies was issued to invest over 8 billion dollars in specified development projects. The “Portfolio of Opportunities for Foreign Investment” offered insights in of the current and (expected) future conditions of the island’s economy. One of the document’s implied roles is that of underlining how the Cuban authorities appear to be prepared to drastically reopen the economy to international capital. The document provides incredibly detailed data of current production potential and deficits as well as setting out clear development priorities such a : conventional and renewable energy sources; tourism and agriculture. However, the way in which this list of priorities has been concluded is not a secret. Tourism is the main source of hard-currency earnings. In terms of agriculture the island keeps spending large amounts of its scarce foreign exchange on food imports thus creating an imminent food security crisis. And finally, domestic energy production remains vital, mostly as a consequence of its energy dependency on a troubling Venezuela. This has already repeatedly surfaced throughout our presentation. ZED is constituted by a large territory (465.4 square kilometers) around the port of Mariel, located 45 kilometers west of Havana. This port represents one of the few limited locations in the island where diverse international parties possess an interest or at least exercise an active role in the zone of development. In fact, both Cuba and Brazil have invested about a billion dollars in ZED. the port is managed by the PSA International consortium of Singapore. The masterplan for the urbanization of the area and commercial connections was elaborated by the French Bouygues complying to modern standards. The port is intended to become one of the three main container ports of Central America. The main sectors within which it is expected to increase productive effort to achieve market expansion include: biotechnology, pharmaceutical, renewable energy, agro-food industry, tourism and real estate, packaging, agriculture, industry in general, telecommunications and computer technology.Besides technical details it is necessary to underline the strategic value and systemic nature of this project. It is reasonable to assume that the Brazilian commitment would not make much sense if concrete expectations of a future and complete normalization with other active businesses in the area, starting by the United States of America were not on the table.A simple look at the map will suffice to understand the importance of Cuba’s logistics within the continental American market. The island dominates, as a result of its central position, the routes of the entire area, including the southern part of the United States, the Gulf of Mexico, the Caribbean, the entire Mesoamerican Arc and the coast of South America. The same favorable conditions Spanish sovereigns attempted to exploit during as they were in control of the island. At the time of the Empire, the fleets who departed from the Iberian Peninsula met in Havana before navigating to other ports of the Subcontinent. What is intend to be emphasized by this point is that Cuba is destined to reacquire sooner or later this logistics centrality, engraved in its geography and in its history.There will come a time when producing and storing in Cuba will be return to be a great and significant advantage for commercial purposes in the entirety of the American continent, and not only. 4. ↑ E.g. Central Bank, Minister of Labor and Environment, Ministry of Finance and Prices etc.